The 96th annual meeting of the American Academy of Optometry was held in Chicago, Illinois from October 11th-14th. 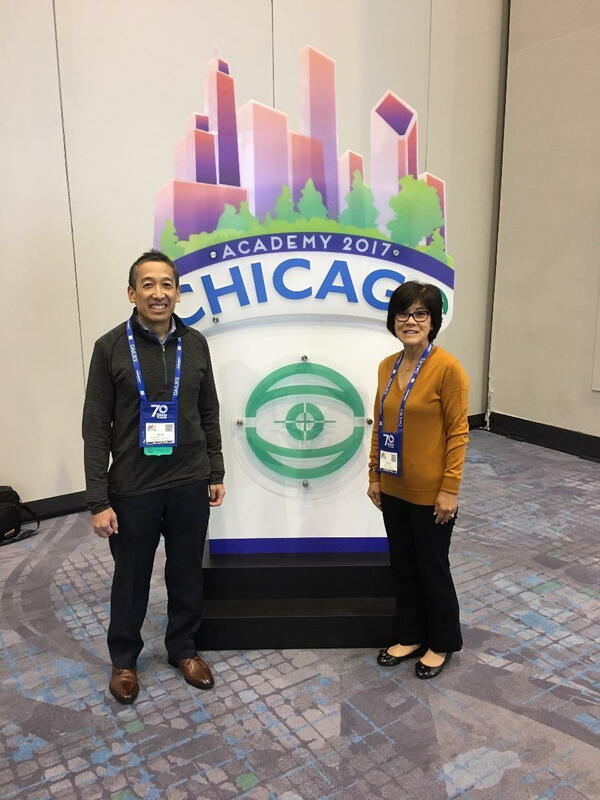 Dr. Kageyama and Dr. Tamai attended to stay up-to-date with the technology and practices in the optometry field. Courses that were held at this year's academy included: diagnosis and management of glaucoma, eye care for Parkinson's disease, vision cognition for the age and population, and rheumatic and red eye disease. This program will help us provide the latest technologies and modern practices during our patients comprehensive eye exams!